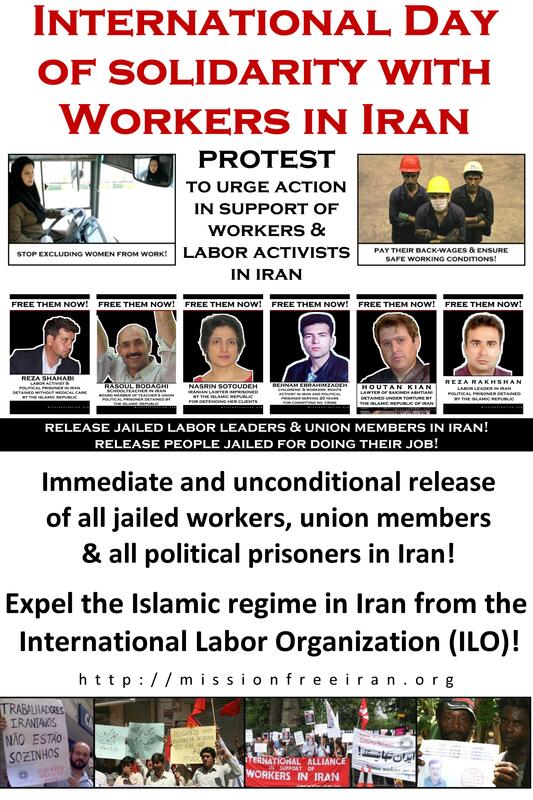 JOIN US IN INTERNATIONAL PROTEST in support of Iranian workers – currently participating cities are listed below; please contact Maria Rohaly if you would like to add your city to the protest action. – Ayat Niyaafar was arrested on Monday 17 Oct.
And thousands of workers across Iran have gone months without wages, are forced to work under exploitative contracts, and have none of the benefits that legally belong to them. The attack on workers and labour activists must be stopped! Note: The Vancouver District Labour Council also support this call. Place: At 14:00 we gather in Helsingin rautatientori and at 14:20 we start our march towards Narinkkatori behind Kamppi building. The 5 and 6 Nov, Jamal Saberi, a Worker-communist Party of Iran cadre and one of the “Free Jailed Workers Campaign” activists will give a speech at the Railway Union’s meeting, the subject of which is “Jailed Workers in Iran.” Labour union representatives from Brazil, USA and South Korea will be present in the meeting. Place: 2209 Wisconsin Ave NW, Washington DC (offices of the Islamic regime at the Pakistani Embassy) with march down to Georgetown to hand out flyers. Follow-on action at McPherson Square/#OccupyDC. « RS Should Not Have Been Deported by the Swedish Government (ENG) | ر.س. نمیبایست دیپورت میشد.